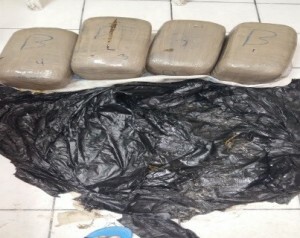 On Saturday, March 12th at about 8AM, acting on information received, the San Pedro Police visited a beach front area of San Pedro Town where they retrieved a black garbage bag, which, when opened, contained four compressed parcels of a green leafy substance suspected to be Cannabis, amounting to a total of 74.85lbs (equivalent to 33.95 kg). The bag was taken to the San Police Station where it was deposited and labelled as found property. 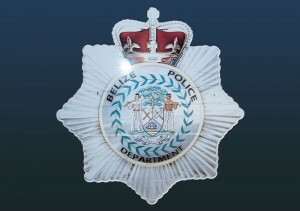 On Saturday, March 12th at about 7:15PM, acting upon information, the San Pedro Quick Response Team conducted a search at the San Pedro Belize Express Terminal Cargo Section on Barrier Reef Drive. Inside they found a pink in color gift box containing six black plastic bags with 28 small transparent plastic bags of a green leafy substances suspected to be Cannabis. The suspected drugs amounted to a total of 833.8 grams. The item was taken to the San Pedro Police Station where it was deposited and labelled as found property. On Tuesday, March 15th at 11:10PM, while San Pedro Police was on mobile patrol on Laguna Drive, San Pedro Town, they stopped and searched a 17-year- old male minor. Inside a black and grey, with red stripe school bag, which was being carried by the minor, police found a transparent plastic bag containing a green leafy vegetable substance suspected to be Cannabis. The suspected drug amounted to 92.28 grams. The minor was escorted to the San Pedro Police Station where he was charged for the crime of “Drug Trafficking”.